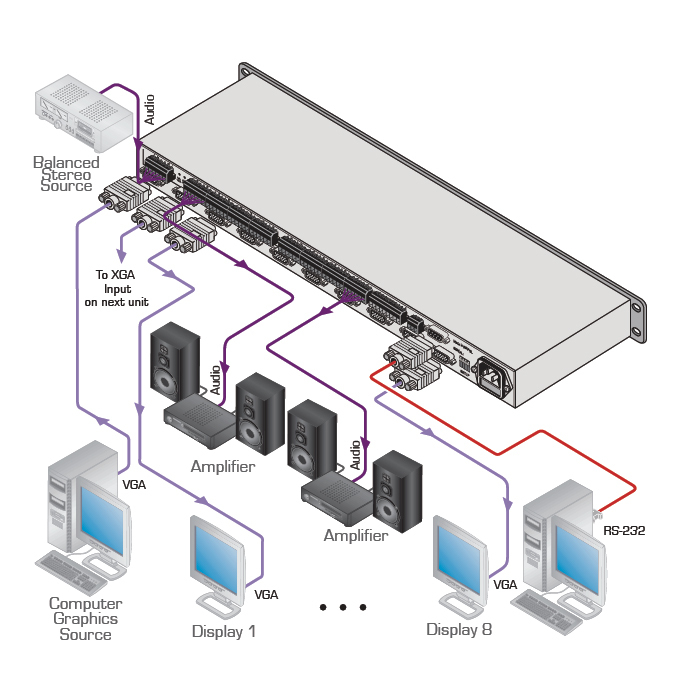 The VP-108 is a high-performance computer graphics video amplifier for computer graphics signals, with resolutions up to and exceeding UXGA, and balanced stereo audio signals. It takes one computer graphics and a balanced stereo audio input signal and outputs eight computer graphics and balanced stereo audio signals. Control - RS-232 & contact closure for individual output disconnect. Level (Gain) & EQ (Peaking) - R, G & B.